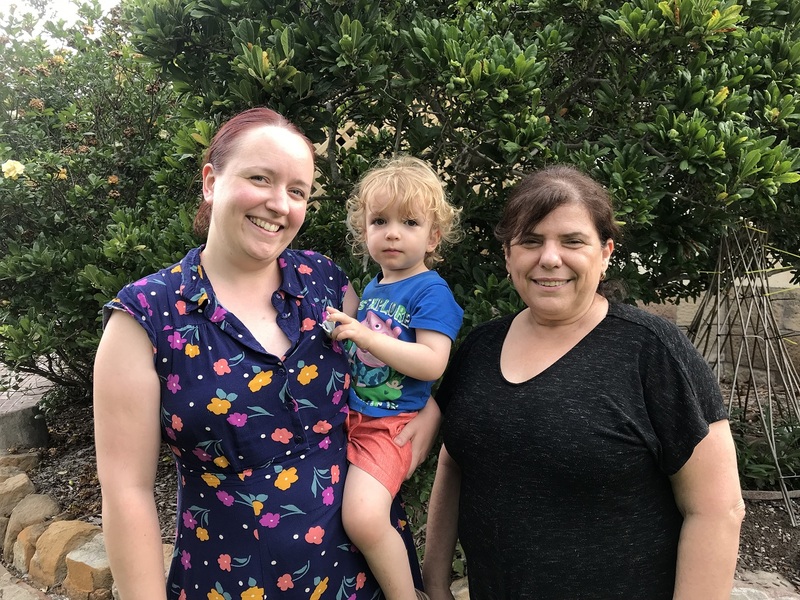 "When my second child was just 6 months old, we discovered that he had been born with a very rare genetic condition causing overgrowth on one side of the body. The rollercoaster of specialist appointments, scans and blood tests that followed caused a lot of anxiety. Luckily, he was already enrolled at The Infants' Home, where he could receive the best quality of early childhood education and care. He also had access to occupational therapists, speech therapists and an early childhood health nurse, all onsite. Knowing that he had all of the support he needed while he was in day care was a great weight off my shoulders. When a position became available to work in the fundraising department of The Infants' Home, I just knew I had to apply. It is highly satisfying to work in a team that raises funds for such a unique and inclusive organisation, knowing that every day you are helping struggling families find a safe place to receive the support that they need to live their best life. After attending a Chuffed workshop earlier this year, we decided to run a campaign to raise funds to renovate one of the childcare centres at The Infant's Home, which was built in 1959. This was our first crowdfunding campaign and, thanks to mentoring from Chuffed and a generous donor who is matching funds raised, our first crowdfunding campaign has been a big success- and it's been fun! We met our target of $10,000 with 5 days to go, so we decided on a stretch target of $12,500 and look forward to hitting that one as the campaign concludes. We'll definitely be add crowdfunding to our fundraising toolbox into the future."